Which Common Computer Cable Was Named After A Debunked Scientific Theory? Coca Cola Almost Created A Vending Machine That Would Adjust Its Prices Based On? The ubiquitous network cabling system, Ethernet, derives its name from the 19th century scientific theory of luminiferous aether. Long before Einstein’s General Theory of Relativity and the field of Quantum Theory existed, the model on which scientists understood the transmission of light across space was that of luminiferous aether—a vast soup of tiny particles through which light and other waves could move. For centuries, the idea persisted as the only explanation for how light from the Sun could reach the earth. In the 1970s, long after the theory had been debunked, the creators of the Ethernet cable adopted the term early on in the design process. 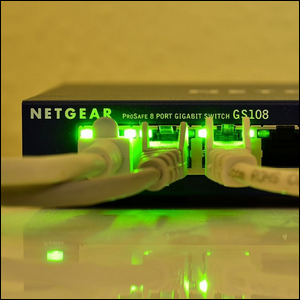 Since Ethernet was envisioned as a physical network that created a communication cloud between computers, it was somewhat of an inside geek joke to name the cabling system “Ethernet” after the aether physicists had previously believed was a cloud of particles that enabled the transmission of particles through space.